Add an elegant touch to your next grand affair with matches in a crisp white box. 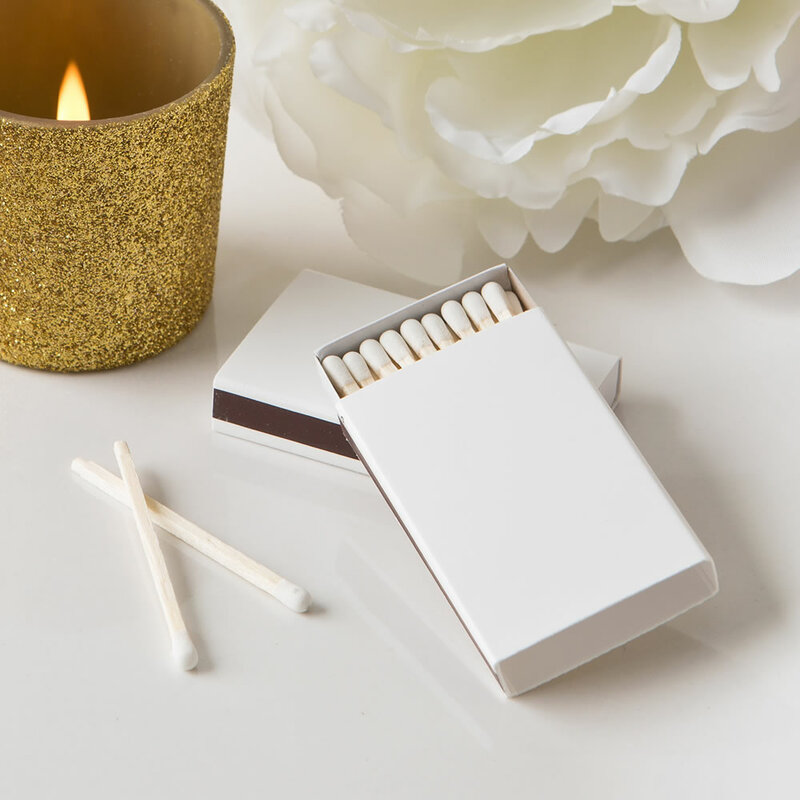 Add a luxurious crisp touch to your event table settings with a white box of matches at each guest's place. The two piece match box contains approx. 20 wood match sticks and has a black strike surface on the side. They come bulk packed in a box of 50. Your guests can use these matches to light the candles on your event tables. They can also take them home to light stoves, barbecues or keep as a memento of your special day. SOLD OUT - More on the way, expected Friday 03 May, 2019.